It’s not just the size of your balls that counts… it’s how you rub them! Have I gone to far? Well, at least I have your attention. For those of you who know what the MELT Hand and Foot Treatments are, you already know what I am talking about here. I’m talking about the MELT Treatment balls! Because of the ball sizes and the pretty colors people immediately think they are just basic bouncy balls or super balls but I have to tell you, looks can be deceiving. It took me over a year to get the right squish to these balls. It’s no easy feat developing a product and bring it to market. Of course if I were a HUGE manufacturing company with a million bucks to spend, I am sure it would have been a lot easier but developing balls that people are going to rub on their skin meant taking the time to find a manufacturer that could create balls with no toxic chemicals that would cause bad reactions. Trying to find organic materials, the right dyes and such for products like this really is a job in itself! I wouldn’t rub any old ball on my body everyday if I thought it could harm me, would you? Then I had to get the little ball to have the right amount of squish (too hard and it would actually hurt more than help) and the large firm ball also had to have the right texture for maximum results. And the soft ball, well that was the biggest challenge. The soft ball needed to be durable but pliable. But once you look away from just the idea of the balls, you really have to understand the MELT Techniques and how valuable each one is as a daily self-care technique. I’ve spent the last 12 years not only being a manual therapist but inventing techniques that would simulate the techniques I use with my hands in a one on one session and become a hands-off therapy treatment a person could do on their own. It started out as homework for my clients and in 2004 I came up with the crazy idea that I could teach this in a group environment… not so crazy now because it actually worked! So it’s not just the size of the balls that counts, it’s how you rub them! There are multiple techniques I’ve developed to improve whole-body efficiency. All of us have an “autopilot” that is constantly regulating our body so it moves and functions efficiently. If the autopilot becomes inefficient, (which happens just as we age and due to our daily habits) over time, this inefficiency can cause actual body ache and pain. With MELT you are able to assess if your autopilot is functioning inefficiently BEFORE you are in pain! This is how a person becomes truly proactive rather than reactive when it comes the the longevity of their good health and functionality. The hand and foot treatment are frequently misunderstood. Many people think they are treatments specifically for hand or foot problems. Although MELTing your hands and feet do make both feel great, the techniques are far more beneficial than one might think. For example, the “position point pressing” technique mobilizes the joints of the hands and feet but also stimulates what we call “myofascial meridians” or connective tissue guywires that create seamless connection from head to toes and fingers. 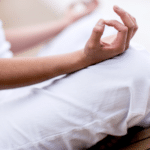 When you MELT you stimulate the connective tissue cells (not to mention your muscles and bones) but you also wake up the aspects of your nervous system that allow you to sense and feel your body while quieting down the stress levels. Many people are surprised how tender their hands and feet are – a sign of autopilot inefficiency and cellular dehydration. MELTing shouldn’t hurt… to the contrary, it should feel good! But if you MELT and you find the position points tender, well, you need to MELT more and you need to take a look at your diet and water intake. When you do either of these treatments, as you reassess you can sense all of the changes your body can make on a very deep level just by tapping into your hands and feet! People ask me, “can’t I just use a golf ball or a tennis ball” and all I can say is NO. Not if you are doing MELT Techniques. If you want to rub your foot over a tennis ball to massage your feet, super but MELTing is way more than a foot massage! And a golf ball is way too hard. You can actually irritate the plantar fascia (connective tissue on the bottom of your foot) and give yourself foot pain. Whether you have neck pain, arthritis, neuromas, or a recovering from any type of injury from knees to shoulders, strains or sprains, the hand and foot treatments are simple ways to improve your body’s natural healing abilities. So again, although the balls might look like balls out of a candy machine my balls are more than that! And the technique itself is nothing short of astounding. It really will help you feel better – your whole body will feel better. Your mind will feel better! What are you waiting for? Grab your MELT balls and give them a rub!! A little shearing and rinsing will do you good today! Have you been MELTed lately? Come take a class with me or a MELT Instructor! 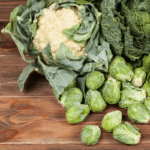 Is Fiber the Missing Piece of Your Healthy Diet? Are Bulging Discs Causing Your Back Pain? Signup for expert advice, special offers & breaking updates. © 2019 LONGEVITY FITNESS. ALL RIGHTS RESERVED. 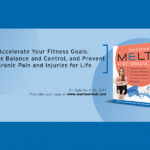 MELT Creator Sue Hitzmann is touring the US for the MELT Performance book tour. Take a class or attend a signing. RSVP today!